Spanish was installed throughout secondary education in Brazil in 2005, where students from ages 14 to 17 began learning the language. Now the government has decided to extend this to primary school instead, which will increase the number of those learning the language from 11 million to 50 million. Brazil itself will have a population of 230 million by 2015. 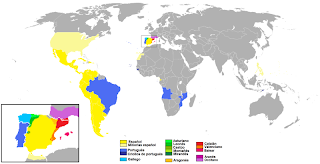 The reasons for the extension of Spanish are quite simple: Brazil is surrounded almost entirely by Spanish-speaking countries, the language itself is continuing to expand (not just the US but also countries like Trinidad and Tobago which declared in 2005 that it would become bilingual), and Spanish just isn't that hard for Brazilian students to learn. This article on the same subject says that those aged 7 to 17 in Brazil number 41 million, and that the number of teachers will need to be expanded from the current 12,000 to 26,000. Both articles also mention Portuñol, a kind of mix of the two that happens due to code-switching, but also a distinct phenomenon with the Riverense Portuñol language where it doesn't just exist as a temporary mixed language but something much more ingrained into the region where it is used daily. 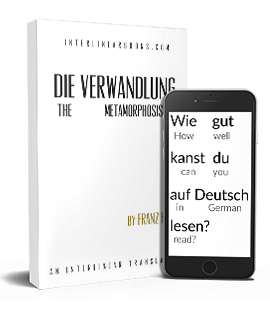 A lot of strength for languages comes from a kind of soft outer core comprised of people that aren't anywhere close to being fluent but have still decided to learn the language in order to travel or obtain information in the language. This can be seen in particular at airports where broken English is used to order food and drinks or get information on how to do A or B, and the fact that most will be able to understand even one's broken English is what makes the language so useful. With an extra 40 or so million people that are capable of understanding and expressing themselves in Spanish in Brazil, now simply learning Spanish alone will enable people to largely get by in the same manner there too. Finally, don't think that Brazil is getting the short end of the stick here either. Fairly large mutual comprehensibility between the two languages means that anyone that decides to learn Spanish due to its usefulness in Latin America, Europe and elsewhere may then be able to wade through a document written in Portuguese too (mutual comprehensibility is a bit above 50% but lexical similarity is 89%). Mutual comprehensibility between the two is a bit overrated but if a strong Spanish language makes the difference between Hiroshi in Japan deciding to learn the language vs. picking another language unrelated to either one (Chinese/Korean/Turkish/etc. ), it's beneficial to both. Very interesting this article which differentiates mutual comprehension from lexical similarity. For example, I have the impression that, in terms of lexical similarity, French may be the closest language to English (while mutual comprehension is very low...). Jim Henry does not agree with Sambahsa's orthography, but, finally, this article shows that lexical similarity is important too. There is, IMO, an error in the map: I don't think that Occitan (and Aranese) can be considered Iberian Languages. Occitan is, like French, not a "si"-language, but a "langue d'oc/oïl". "most will be able to understand even one's broken English"
I'd call this irony but perhaps there is a better term for this (like an oxymoron but different). I don't really get this learning-Spanish thing. The two languages are definitely mutually-comprehensible, even more so for Portuguese speakers.